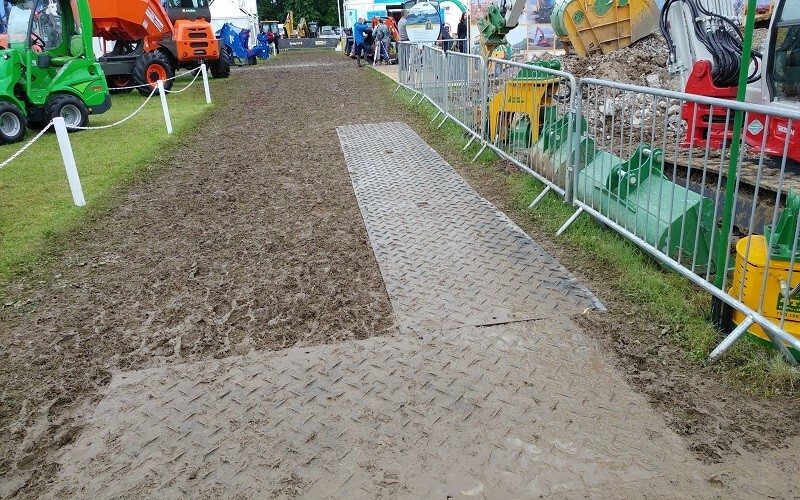 Mud glorious mud at Plantworx! 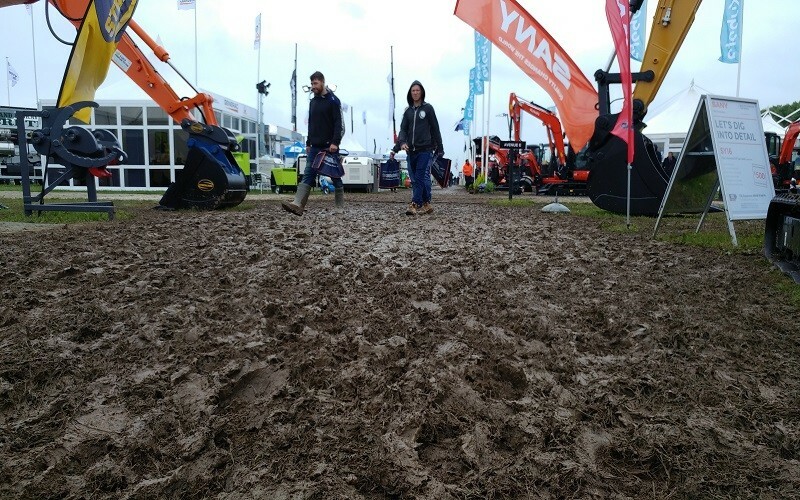 Extremely heavy rain before and during the 2017 outdoor Plantworx Show left most exhibitors’ stands muddy and inaccessible. 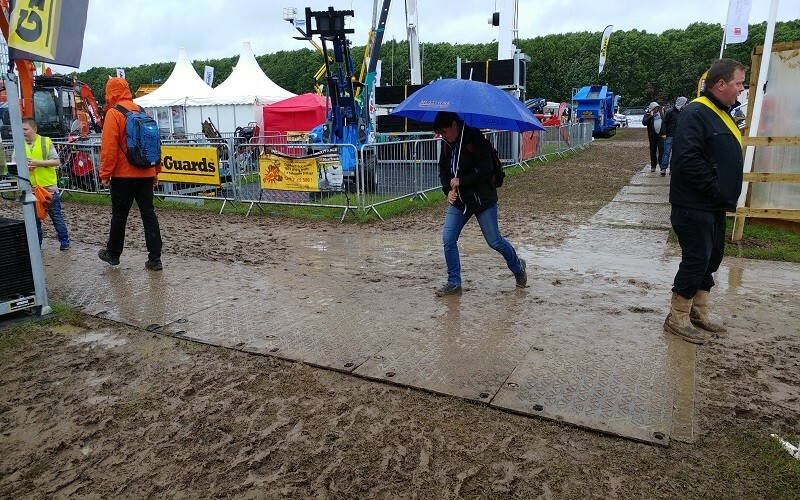 Members of the public, exhibition staff and on-site vehicles struggled for traction in the boggy conditions, as even the simplest of tasks – like walking – became very difficult. 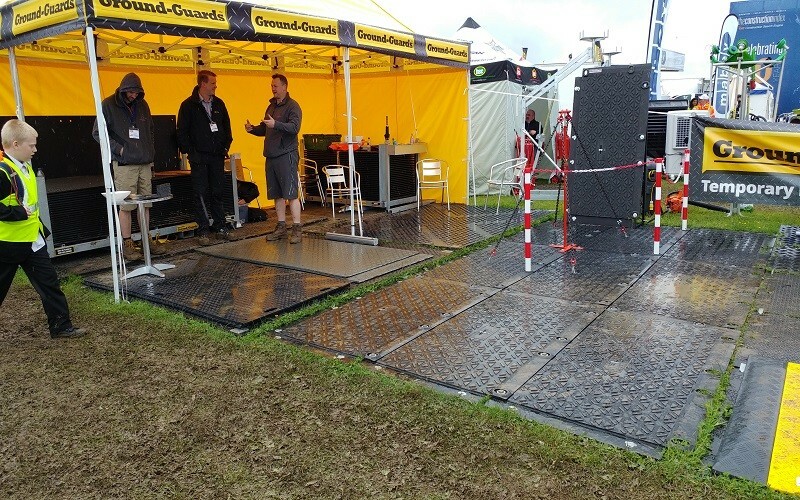 Exhibitors came to our stand and asked to hire some impromptu ground protection mats. We had stillages of MaxiTrack on hand, and were happy to oblige. We were able to quickly create temporary walkways and solid exhibition areas to give the Show’s visitors some much needed relief. 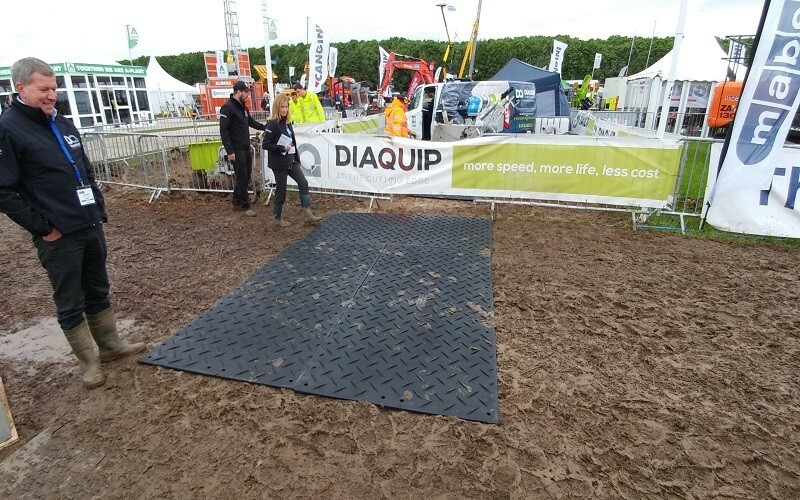 MaxiTrack mats were the perfect solution as their special overlapping flange connections prevented mud from seeping through the joints. The rain and mud did not relent, but the footpaths that we created made a huge difference in salvaging a desperate event. 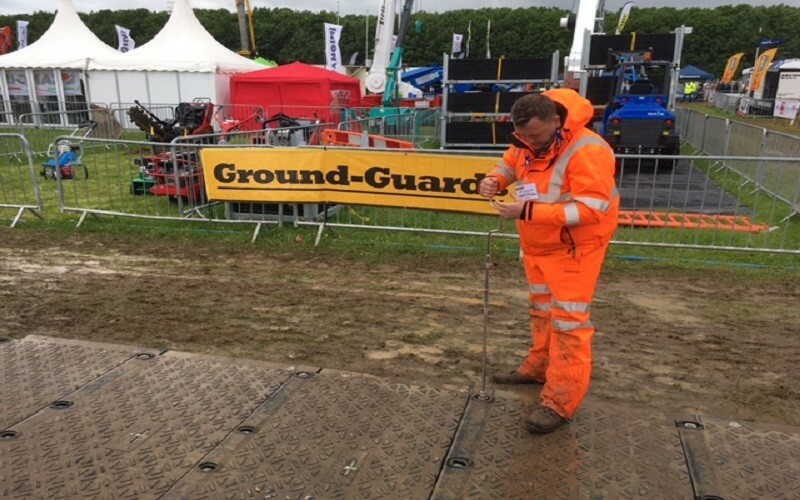 It was a hard lesson learned for many exhibitors – you must prepare in advance for the unpredictable British weather – and there is no better preparation than Ground-Guards! CLICK HERE TO READ MORE ABOUT THIS STORY IN OUR NEWS SECTION.